Home » GBP » Pound Sterling to South African Rand Exchange Rate Forecast: Can GBP/ZAR Recover on UK GDP Data? Pound Sterling to South African Rand Exchange Rate Forecast: Can GBP/ZAR Recover on UK GDP Data? The Pound (GBP) has fallen by -0.4% against the South African Rand (ZAR) today, trading at a level of ZAR17.2913. The GBP/ZAR exchange rate has dropped off since late June 2018 and this latest decline has done little to reassure GBP traders about the value of Sterling. That said, the Pound to Rand exchange rate could recover on Friday if UK GDP growth rate figures print as expected. The Q2 initial readings are forecast to show a faster pace of price growth on the quarter and the year, with a shift from 0.2% to 0.4% and from 1.2% to 1.3% respectively. News of accelerating UK GDP growth could be enough to boost the GBP/ZAR exchange rate, as such results would suggest increased economic stability. Looking ahead to next week, the Pound to South African Rand (GBP/ZAR) exchange rate could become turbulent when UK jobs market data comes out on Tuesday. The main data releases will be June’s wage growth stats, alongside an unemployment rate reading for the same month. Current expectations are for the jobless rate to rise from 4.2% to 4.3%, while the pace of wage growth is tipped to accelerate with and without bonuses included. It is unclear how GBP traders will react to such news; a rising jobless rate might be considered more important and lead to GBP/ZAR exchange rate losses. On the other hand, if wage growth picks up and hopes rise for a potential Bank of England (BoE) interest rate hike off this news, the Pound could appreciate. Are South African Rand to Pound (ZAR/GBP) Exchange Rate Gains ahead on ZA Business Confidence? 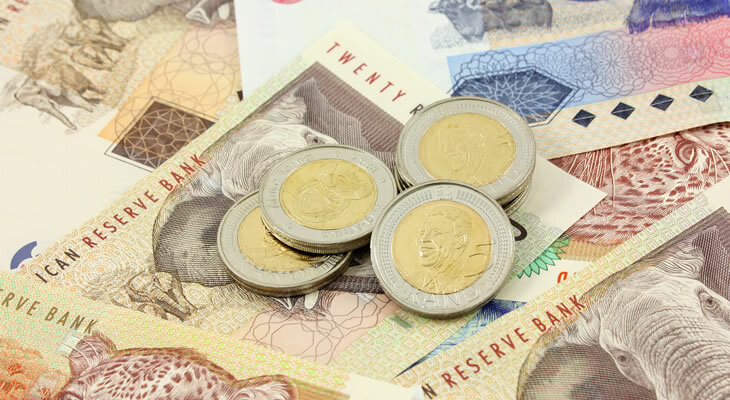 On the other side of the currency pairing, the South African Rand to Pound (ZAR/GBP) exchange rate could rise further on Wednesday’s business confidence data. July’s SACCI business confidence reading is expected to show growth from 93.7 points to 94; this might be enough to boost Rand demand. A forecast-matching result could be especially supportive of the Rand, as the confidence reading has consecutively fallen since January this year. Will South African Mining Slowdown Bring ZAR/GBP Exchange Rate Losses? As with the UK, the first major South African data out next week will come on Tuesday; in this case the Rand could be weakened by mining production stats. Current estimates are for mining output levels in June to fall by -1.39% on both the month and the year. Mining activity is a key component of South African economic growth, as the nation has established trade links for exporting its various mining resources. Reduced activity would suggest that fewer resources are being extracted, which might mean a worsening situation for ZA exporters and ZAR/GBP exchange rate losses. Previous ArticlePound to New Zealand Dollar Exchange Rate Forecast: Could RBNZ Decision Push GBP/NZD Deeper into One-Month-Lows? Next ArticlePound Sterling to Euro Exchange Rate Forecast: More Losses Ahead for GBP/EUR After 9-Month-Low?